I'm a fifth generation in the diamond business. My father continued the family tradition by establishing a diamond cutting factory over 50 years ago. I have been trading since 1979 . A member of the World Federation Of Diamond Bourses since 1987. Manufacturing diamonds and distributing to company's, dealing with clientele all over the world. Over the years we expanded our business to include not only diamonds, but also high quality jewelry. With the development of the INTERNET , we offer our merchandise on the web. 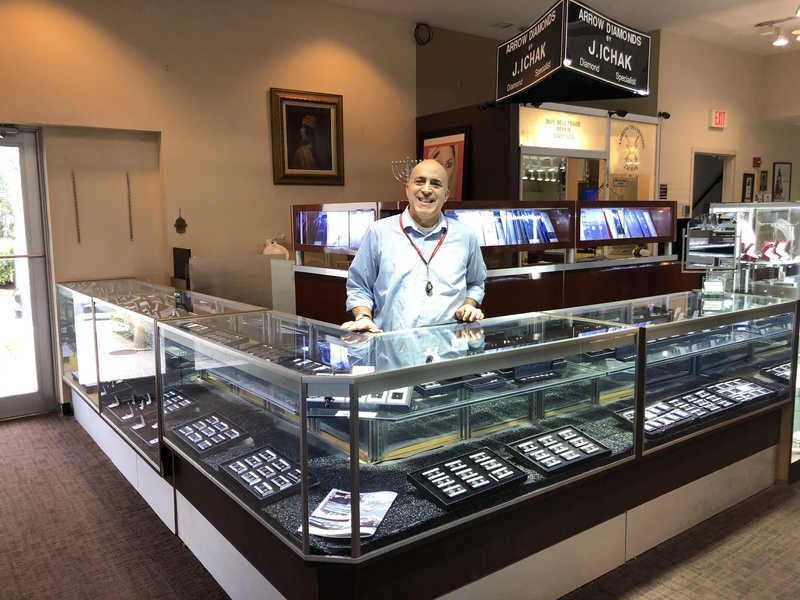 Today at our clientele enjoy a wide range of products which include: beautifully polished loose diamonds with and without certificates and fine jewelry. Our jewelry collection caters to the new trends in today's fashion. We offer rings, earrings with diamonds. All our jewelry is brand new and of high Quality. Dealing with natural diamonds only. We manufacture our own diamonds, you will be buying high quality products directly from the source. We are in charge from beginning to end , from polishing the rough diamond, to designing the jewelry through to the finished product to ensure that our customers receive only the very best. We have cut the extra costs and have passed the savings along to you without sacrificing quality. Let our immense experience in diamond manufacturing and INTERNET trading give you a wonderful purchase at a surprisingly low cost. “ All business transactions are to be concluded with Mr. Johnathan Ichak only “.